There has been a lot of GNSS-related news in the past month, so I thought I’d do a quick review of the importance (and possibly unimportance), of news you may have heard about. On April 25, the U.S. Air Force announced it would start broadcasting CNAV (Civil Navigation) messages for L2C and L5. In the short term, it should have no impact on the behavior of your GNSS receiver. Just because some GPS satellites weren’t broadcasting CNAV on L2C and L5 doesn’t mean your receiver isn’t using L2C or L5. On the contrary, if your receiver was designed to handle L2C and L5, it’s likely already been using them. The CNAV is just the message being transmitted on the L2C and L5 carrier along with the code. If your receiver tracks L2C and L5, it’s likely already using the carrier (phase) observations. However, even then there are only a limited number of satellites broadcasting L2C and L5 carriers. Specifically, there are 11 satellites broadcasting L2C and four broadcasting L5, meaning that your receiver is roughly tracking one L5 satellite at any one time during the day and several satellites broadcasting L2C. The C/A code (NAV) message on L1 that your receiver already uses today is good enough. Your receiver doesn’t need the CNAV message on L2C or L5 to utilize the L2C or L5 carrier observations. That’s not to say there’s no benefit to CNAV on L2C and L5, but for RTK or post-processing, the value is largely in the carrier observations. In the future, when L2C and L5 are fully deployed (or near fully deployed), the L5 CNAV does have some distinct advantages, but that’s a few years down the road. To give you an idea of the benefit of L5 when there are enough GPS satellites broadcasting L5 , take a look at the following illustration published by Dr. Richard Langley from the University of New Brunswick comparing the reduction of code multipath on L1 and L5 of two WAAS GEO satellites. For the full text of the Langley/Rho article on L5 and WAAS that appeared in the May 2009 issue of GPS World magazine, click here. On May 16, the second GPS satellite of 2014 was launched successfully from Cape Canaveral in Florida. It was the sixth model IIF GPS satellite, of which 12 are being built, before transitioning to the next-generation model GPS satellite named GPS III. It began transmitting on May 21, 2014, but is not yet set healthy. The GPS model IIF satellite broadcasts the legacy GPS signals as well as the new civilian L2C and L5 signals. Normally, a launched GPS satellite is set healthy (and automatically begin being used by your GPS receiver) within 30 days of launch, sometimes much sooner. However, the IIF GPS satellite launched in February of this year still hasn’t been set healthy, the reason reportedly being an extended navigation test reported here. A third GPS IIF satellite is scheduled for launch this year on July 31. During the post-launch interview last Friday, the Air Force stated that the remaining GPS IIF satellites (six) will be launched by the end of 2016. From previous conversations I’ve had with Air Force officials, they’ve stated that there could be an overlap between IIF and III satellite launches. In other words, the first GPS III satellite could be launched before all IIFs have been launched. The Civil GPS Service Interface Committee (CGSIC) announced that the U.S. government investigated outage reports from many GPS users recently and found that some GPS receivers are ignoring the health status broadcast by each GPS satellite. CGSIC reports that the GPS continues to operate and is fully functional. 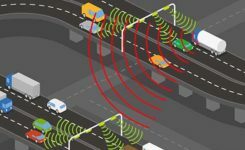 In Australia, faulty GPS receivers on roughly 1,000 fleet vehicles caused an apparent GPS “outage” about a month ago. The first two Fully Operational Capability (FOC) Galileo satellites arrived in the French Guiana in preparation for launch this summer. When launched into orbit, they will join four IOV (In-Orbit Validation) Galileo satellites launched in 2011 and 2012. OHB is the prime contractor for a total of 22 FOC Galileo satellites. Those are in addition to the four IOV Galileo satellites. The two Galileo satellites in the clean room. On April 1, the entire GLONASS system was inoperable for about 11 hours. A second, partial failure involving eight GLONASS satellites occurred on April 14 and lasted for about 30 minutes. 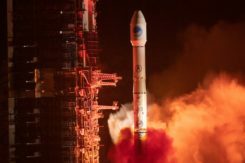 There were many reports of RTK receivers not operating properly, and some manufacturers instructed their users to “turn off” GLONASS tracking capability on their receivers. Subsequently, mathematical mistakes were blamed for the failures. The head of the Russian Space Agency, Oleg Ostapenko, stated that the problem would be fully resolved by mid-May and that there is almost no chance of a similar failure happening again. In response to U.S. sanctions and possibly related to last years’ U.S. refusal to grant Russia permission to locate GLONASS monitoring stations on U.S. soil, Russia has threatened to shut off certain stationary GPS receivers located in Russia. Some news media are reporting that such an action by Russia would have an effect on GPS. 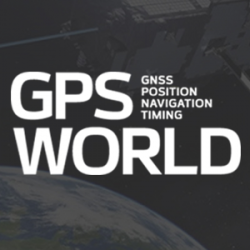 What they’re talking about is discontinuing operations of some or all IGS (International GNSS Service) GPS stations in Russia. Those stations have nothing to do with the operation of GPS. They are simply CORS (Continually Operating Reference Stations). If anything, it will hurt Russian scientists (and scientists from other countries) more than anyone else. Last week, Russia suffered its fifth rocket launch crash in the past four years. Fortunately for the GNSS user community, the rocket was not carrying any GLONASS satellites. However, it raises serious concerns about the reliability of Russian rockets and launch procedures. Europe’s Galileo satellites are launched using Russian Soyuz rockets at Europe’s space port in French Guiana. Last July, three GLONASS satellites were lost when a Russian Proton-M rocket crashed soon after lift-off. 6 Comments on "New Signals, New Launches, and Faulty GPS Receivers"
Nice to hear from you Joe. I hope all is well. Excellent review over the intense GNSS activity of the past 7 weeks. But please be careful when speaking about Russian launchers reliability: yes Proton has a poor record , but Soyouz has a tremendous one, about 21 failures out of 1800 launches! So no real worry for the August planned launch of the two first FOC Galileo navsats on a Soyouz off French Guiana. So far, 7/7 sucesses from the European space port for this Russian launcher. Yes, I was sure to reference Soyuz specifically so it wouldn’t be confused with Proton. Thanks for the stats on the Soyuz rocket success. I’m excited about the summer Galileo launch. If the launch schedule is what I’ve been told, the next 2 years will be very exciting for high-precision GNSS users. Well, my prediction based on the Soyuz excellent reliability proved eventually to be wrong with the 22 August 2014 failure to put the 2 first FOC Galileo on the right orbits. Underscoring very likely a central quality control issue transverse to the Russian space industry. Yet, I don’t see how Soyuz could be scrapped for all the future Galileo launches. It seems quite unlikely to shift the whole load to Ariane 5 exclusively.